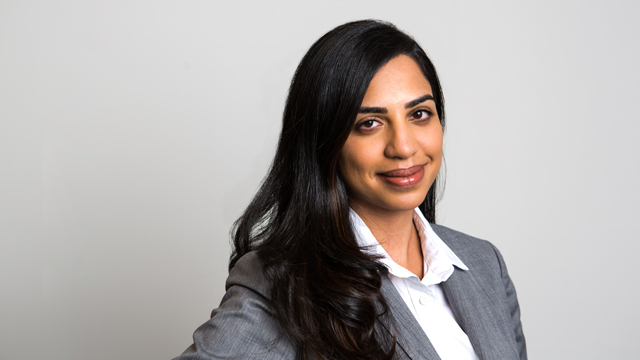 Alisha Kassam is a labour and employment lawyer in Hicks Morley’s Toronto office. She provides advice and representation to employers and management in both the private and public sectors on a wide-range of labour, employment and human rights issues. This includes grievance arbitrations, collective bargaining, labour disputes, occupational health and safety, human rights and accommodation, workplace safety and insurance matters and employment standards. Alisha obtained her Juris Doctor from Osgoode Hall Law School. During her time at Osgoode, Alisha participated in a number of mooting competitions which included representing her law school at a National Labour Arbitration Competition. In her third year, Alisha also worked as a student caseworker at Parkdale Community Legal Services where she assisted clients with a variety of employment-law related matters. Prior to law school, she obtained a Bachelor of Arts in Law & Society from York University, where she graduated with highest honours. Alisha articled with the firm before returning as an associate in 2017. Osgoode Hall Law School, JD.